Jeff donated the aprons we use to when we serve food at our Shabbaques and other food events. Jeff was a long time program chair for MoTAS and found many interesting speakers. Whenever I play “This Land Is Your Land” on the banjo I will hear Jeff’s voice singing the words to the Mi Chamochah from the Bimah as he did one time at a MoTAS Friday Night Service. Jeff was remembered for having a rich tenor voice that enhanced the Choir and Shabbat services, his skill on the guitar, the numerous families who benefited from Shiva Minyans he conducted, and the prizes he donated each year from his uniform business for the golf tournament. In 2012, the Men of TAS eliminated the dues requirement for membership. 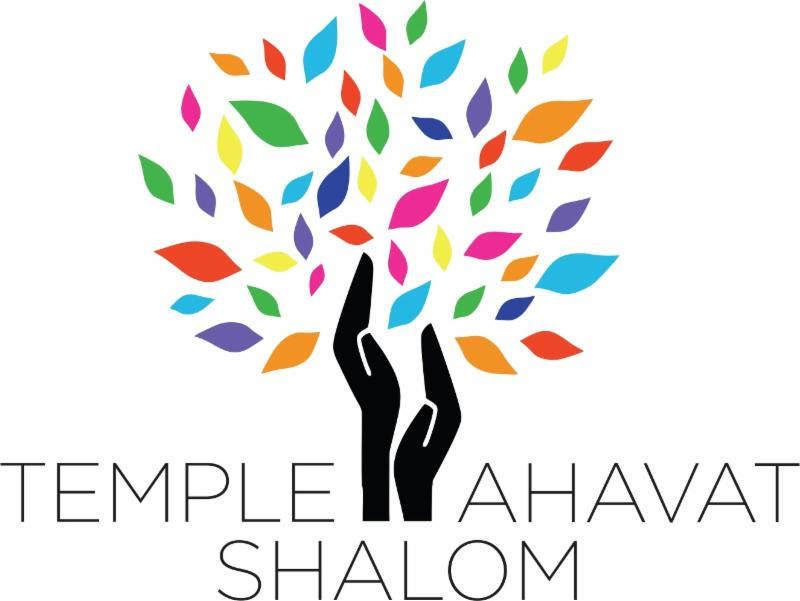 We moved to an inclusive model where every man in TAS is part of the Men of Temple Ahavat Shalom. Since we don’t have dues, we don’t have steady revenue. So, every year Men of TAS asks you to support our work financially. We need every man in the congregation who supports the work we do to contribution and show your support. Whether is it $18, $180, or $1800 — whatever the amount — your participation is a vote for MoTAS. We mailed out our appeal mailing in early February. Hopefully you have received your envelope. You can also find the message on our support page at http://support.tasnorthridge-motas.org/. On that page, you can find a printable donation form that you can mail in, as well as a link to contribute online. It is through your contributions that MoTAS is able to do that work that we do for the congregation. Please think about how much MoTAS means to the congregation, and how much the relationships you have with MoTAS mean to you. Then add 20%, and make a donation :-). Seriously, the MoTAS leadership works hard to make MoTAS valuable to you and the congregation. This is your chance to let us know what we mean to you. Donations for the Yellow Candle mailing have not come in as strong as in the past. To help cover our costs, this is a reminder that your contribution for your candle helps ensure that we can continue this program in the future, and continue to never forget. The meeting was chaired by Howard Miller in the absence of President Frank Soronow. Present: Hal Bass (Secretary), Les Birken, Daniel Faigin (Past President), Mel Janis, Bob Levine, Fabian Malinovitz, Jackie Malinovitz, Barry Mann, Howard Miller, Larry Pfeffer, Kathy Pullman, Mike Rayfield, Russ Rapoport, Bill Shapiro (VP), Robert Spier, David Silverman, Mike Thornhill, Scott Yollis, Mark Zev. Tributes to Jeff Shulman: Jeff, who passed away on April 4, was a beloved long-time member of TAS and MoTAS. Members present at today’s meeting shared their memories of Jeff (see the first item in the weekly). Bob Levine has proposed establishment of a sequestered fund in Jeff’s memory for musical education of our temple youth, to be administered by the cantor. Bob will discuss the parameters for this fund with TAS Administrator Aaron Solomon. The new fund would require approval by the Board of Trustees, in order to take its place among other named funds listed on the TAS website. Another suggestion was for MoTAS to instead make a one-time donation in Jeff’s memory to one of the existing funds. Treasurer’s Report: Cash balance as of 04/12/2018 was (available on website). Cash balance includes $6,150.03 for grants from 2016-17 sports square sales of $622.27, $3,000 from the 2017 sale of football squares, $1,170 from 2018 Super Bowl squares, $1,257.76 from 2018 basketball squares, and $400 donated directly for sports squares grant money, leaving (available on website) for future commitments. The MoTAS fundraising appeal has thus far netted $2,609.15. Net proceeds from the sale of Yom HaShoah candles were $164.59. MoTAS donated $300 for Shabbat Alive on April 13. MoTAS provided $1,300 for 6 camperships and $500 for the February 2018 L’Taken trip by confirmands to Washington, DC. Yom HaShoah Commemoration at Temple Ramat Zion on Sunday, April 8: This was a joint effort of TAS and Temple Ramat Zion and was well-attended. Frank Soronow and Hal Bass participated in the readings along with members of the TRZ Men’s Club. TAS was also represented by Rabbi LYF, Cantor Cohen and members of our choir. Status of Repairs: Howard thanked David Silverman for covering expenses to repair the overhang outside the social hall. Larry Pfeffer reported that gates designed by founding member of blessed memory, Irv Reizes, along with a commemorative plaque, have been re-installed outside the west entrance to the temple. Other items include a power washer and major painting, roof and ceiling repair above the foyer, landscaping, and repairs to the kitchenette in the main office. Dining Does Good: California Pizza Kitchen will share with MoTAS part of the proceeds from meals served at its Northridge Mall location on April 17. CPK requires that diners bring in a flyer available on the MoTAS website. Poker Tournament: Howard Miller announced that MoTAS has decided to forego the annual golf tournament in favor of a poker tournament to take place on Sunday, October 21. Even if members don’t play poker, volunteers will be needed for food service and clean-up. Temple History: Mark Zev mentioned that many TAS members may be unfamiliar with the temple’s history. Hal Bass said that his wife, Phyllis, has developed a walking historical tour of the temple, which she forwarded to TAS Executive Vice President Debby Lieber. In addition, the TAS website includes a link to the temple’s history: https://www.tasnorthridge.org/history . Nominations for 2018-19: Daniel Faigin presented the slate of officers beginning July 1, 2018. They are: Howard Miller, president; Frank Soronow, immediate past president; Larry Pfeffer and Russ Rapoport, vice presidents; Roger Lowe, treasurer; and Hal Bass, secretary. Barry Mann moved that the slate be approved. Mike Thornhill seconded. The nominations were approved unanimously. Museum of the San Fernando Valley: The museum is located at 18860 Nordhoff St. (at Wilbur Ave.). Museum Director Michael Steven gave a PowerPoint presentation, which was well-received. The museum opened in 2005 at L.A. Valley College. It has been at its present home since November 2014. Admission and parking are free. The facility features exhibits on the history of the Valley, with a speaker the 4th Saturday of the month; walking tours; and a public art initiative. Jewish pioneers for whom streets are named are Lankershim, Sherman and Van Nuys. The museum website is: http://www.themuseumsfv.org/ . Next Meeting: Sunday, May 6, 2018, at 8:45 am.